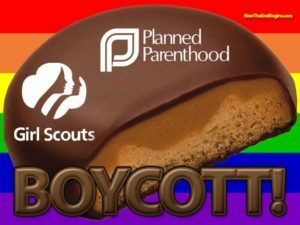 Years ago I encouraged the boycotting of the Girl Scouts and their cookie sales (for their acquiescence to homosexuality). But only to be laughed at (or argued with) by many professing (alleged) Christians. Maybe this will convince them otherwise. The unsaved world loves sin and compromise, but Christians will expose and resist it. Read about a Biblical love in Ephesians 5:1-21. The article by Life News can be read below. DISCLAIMER: IPOC Ministries is not associated with any pregnancy counseling centers, woman’s care centers, and/or pro-life ministries that engage in any forms of ecumenicalism, and/or that do not share the whole counsel of God.